A Blaine County man convicted of felony DUI was scheduled to be released from jail Friday, but that doesn't mean he'll be free to come and go as he pleases. Instead, according to court records, he will be turned over to federal immigration authorities for likely deportation. 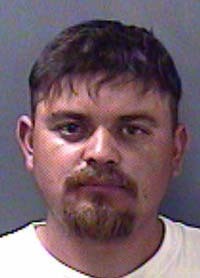 Raul Torres-Escobedo, 26, was sentenced for felony DUI Feb. 7 in Blaine County 5th District Court. Judge Robert J. Elgee sentenced the defendant to 218 days in jail, but gave him credit for 215 days already spent behind bars. According to court records, Immigration and Customs Enforcement earlier filed a detainer against him, which provides that he be turned over to the feds once released from custody. Elgee also gave Torres-Escobedo a five-year suspended prison sentence. Torres-Escobedo was charged with felony DUI because of two prior misdemeanor DUI convictions in Blaine County. According to court records, he was convicted of the crimes in 2003 and again in 2008. Idaho law provides that a person with two prior DUI convictions within the previous 10 years shall be charged with a felony upon a third DUI arrest. Torres-Escobedo's most recent DUI arrest was in Hailey on the evening of July 5, 2011. Hailey Patrolman Jameson Sharp wrote in a probable-cause affidavit that he pulled Torres-Escobedo over on Woodside Boulevard because the vehicle he was driving had only one operating headlight. "While speaking with Raul, I could smell the odor of an alcoholic beverage coming from his breath," Sharp wrote. "Raul's eyes were bloodshot and glassy. Raul's speech also appeared to be slurred." Sharp wrote that he placed Torres-Escobedo under arrest after the suspect failed three field sobriety tests.